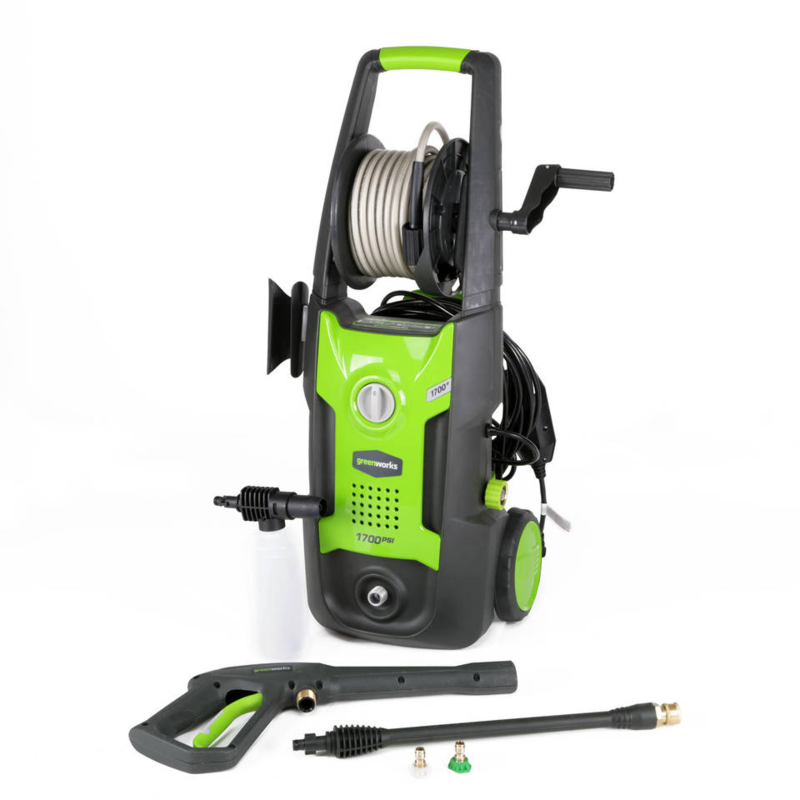 Greenworks GPW1501 Electric Pressure Washer Review - Is it Good? It is equipped with 13 Amp universal motor and can generate up to 1500 PSI and 1.2 GPM. It can deliver 1.1 gallons per minute of water flow. The motor is water resistant and this machine is very portable, light weight and has a compact design. It is good for light to mid application such as cleaning windows, cars etc. It also Includes 25 degree and 40 degree Quick Connect Nozzles to accommodate any job. It is certified by PWMA . 1500 PSI at 1.2 GPM. Includes a 25° and 40° quick connect tip. 20 ft. High pressure hose for greater reach. Soap applicator to apply soap. 35 ft power cord with inline GFCI.